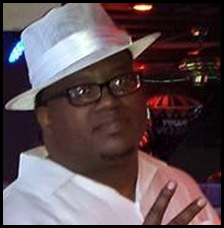 Dj Dwight Jones hails from Cleveland, OH with over 30 years of DJ experience. After serving his country proudly in the United States Army he moved back home to Cleveland, OH before moving to Atlanta, GA for good in 1996. 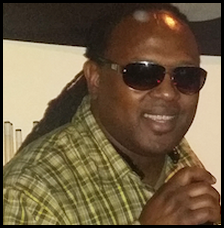 Dj Dwight Jones specializes in Weddings, Corporate Events, Birthday Parties, Family Reunions, Sweet 16, Educational Event, Promotional Events, and any other special occasion in Metro Atlanta Area. Born and raised in Cleveland, Ohio started djing as a hobby in the early 80s. Grew up during the golden years of hip hop and still represent that everyday. As a result, stays faithful to the original 1200 turntables as tools of the trade. Moved to Atlanta in 1997 to open a barber shop but still stayed in touch with music by djing private events such as graduations, pool parties, and birthday parties. In 2009 stopped cutting hair to pursue djing full time. Currently the founder and CEO of Studio 2.1.6. Inc., a promotions and djing company, Official Dj of Deadbolt TV and a member of Regime Squad Djs. 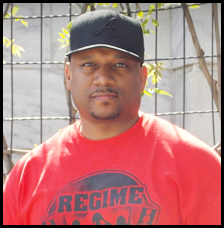 Dj Boogie performs in many clubs in the US and in Europe. 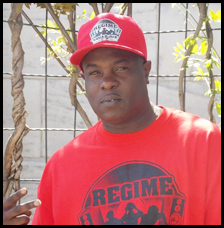 He was a member of the Radio Station street team called the Bomb Squad for Foxy 99.1 in Fayetteville, North Carolina performing live mixed shows. He also appeared in the hip hop documentary, Business as Usual, The Exploitation of Hip Hop. 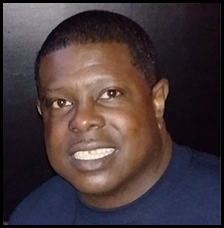 Mike Brewer Sr (Dj Cash Money Mike) was born and raised in Cleveland, Ohio. I had a love for music at a very young age. Being raised in a home with the instruments piano, snare drum, saxophone, clarinet and organ wasn't enough for the young music enthusiast. I was always around DJ's like JJ Jeffries, Gay Rose and The Disco King all who took me under their wings and gave me every aspect of the game. By the time I turned 13 I was on my way. Using anything that produced a sound I would make people dance. By the time I was a Junior in High School I was a well known DJ playing at local events, house parties and Shaw High School Korb Lounge. Attending Central State University gave me the opportunity to perform on the college scene in middle Ohio. 39 years as a DJ , performing and residencies in 8 states to include Europe. Experienced in hosting, promotions, planning and producing entertainment for groups of 10 to crowds of 20,000 people at clubs schools, colleges, concerts, political, professional and social events. Now residing in Atlanta, GA I have the opportunity to use this diverse city as my platform to expand my talents as a Video DJ providing an ultimate level of service and professionalism.